The sports and entertainment fields continue to grow throughout the world. The rising popularity of a number of sports will ensure that a degree in sports management is a sound decision for the business professional. Seeking an undergraduate degree in sports management will open up many opportunities in the fields of finance management, marketing, or sales for sporting goods manufactures, sports team franchises, parks and recreation departments, and intercollegiate athletics, just to name a few. Those within the business will tell you, the sports industry is competitive. Most successful professionals began working diligently to network and build relationships while they pursued an undergraduate degree. The sports management program maximizes student contact with industry professionals and enhances understanding of the real-world business of sport through guided academic preparation. Many of the best Bachelor's of Science degrees with an emphasis in sport management will equip the student with what she needs to enter the world of sport business or immediately pursue a graduate level degree. The very best programs in this field will provide an overview of the history and role in sports in the United States and give students a comprehensive understanding of topics like leadership, ethics, governance and communication, and the legal issues in sports. Like other business degrees, the basis for a B.S. in sport management is grounded in the fields of accounting, economics, marketing, and business information technology. Students desiring to pursue a Bachelor's of Science in Sports Management and wanting to seek an edge in the industry should consider an online B.S. The advantages to an online program begin with having a much larger pool of schools to choose from than traditional students needing to stay in-state or in a particular region of the country. Many of the country's best business schools offer 100% online undergraduate programs that mirror the curriculum and professor access of their on-campus program counterparts. Here are thirty of the nation's best online Bachelor's in Sports Management programs. Note: A detailed explanation of the methodology we used to determine the best online Bachelor's in Sports Management programs can be found at the end of the ranking. Troy University delivers an online Bachelor's of Science in Hospitality, Sport and Tourism Management through the School of Hospitality, Sport and Tourism. This best-of-the-best undergraduate program is a must for the student seeking a high-quality distance education. Photo creditThe School of Hospitality, Sport and Tourism at Troy University features an online Bachelor's of Science in Hospitality, Sport and Tourism Management. This undergraduate program is classified as affordable with an estimated yearly tuition price between $8,000 and $12,999. U.S. News & World Report has recognized this program as the 254th best online bachelor's program in the nation. The Princeton Review has included Troy University in its list of the Best Southeastern Regional Colleges. The program is also backed by accreditation through the Commission on Sport Management Accreditation. The School of Hospitality, Sport and Tourism has designed this program to prepare "students for a variety of positions in the hospitality, sport and tourism industries. The goal of the faculty and school is to create an integrated academic learning environment for analyzing and resolving the challenges in the deliverance and business of hospitality, sport and tourism. The faculty and staff are committed to providing support for student achievement. Students can enter the hospitality, sport and tourism industries with exceptional knowledge, professional preparation, and the confidence to assume leadership positions." This degree can pave the way for a successful career as a food service manager, gaming manager, lodging manager, meeting, convention, and event planner, and a travel guide. Home of the Trojans who wear the school colors of cardinal, silver, and black, the athletic department at Troy University supports men's and women's varsity sports teams which compete at the NCAA Division I level as powerhouse members of the Gulf South Conference. The university is a four-year, public institution of higher learning with a main campus located in Troy, Alabama. The university delivers degrees at the associate, undergraduate, graduate, and doctoral levels to the 17,855 students currently enrolled there. Troy was founded in 1887 as Troy Normal School with the express intent of training future educators for careers as public-school teachers. The school now offers classes in four centers for education across the state. The university receives its regional accreditation through the Southern Association of Colleges and Schools, Commission on Colleges and features the official school motto of "Educate the mind to think, the heart to feel, and the body to act." An online Bachelor's of Science in Sport Management is offered by the College of Health and Human Performance at the University of Florida. This prestigious program shines with a very affordable tuition rate and recognition from U.S. News & World Report and the Princeton Review. Photo creditThe University of Florida offers an online Bachelor's of Science in Sport Management at the College of Health and Human Performance. This top-ranked program is classified as very affordable with an estimated yearly tuition price under $14,999. This degree has been designed to equip "students with the tools to apply the fundamental concepts of management, marketing, finance and law to sports organizations. Students go on to pursue careers in a variety of organizations like professional sport franchises, intercollegiate athletics, sports media, municipal recreation, sports committees, private organizations, social organizations and amateur sports. Within these organizations, students get involved in a range of job functions such as facility and event management, marketing, administration, compliance, ticket operations, sponsorship sales, fundraising and player representation." While the College of Health and Human Performance has recently been recognized by U.S. News & World Report as offering the 12th best online undergraduate degree in the nation, the Princeton Review has also named the university as one of the Best regional Colleges: Southeastern in the United States. Established in 1853, the University of Florida is a four-year, public institution of higher learning with a main campus located in Gainesville, Florida. Operating under the school motto of Civium in moribus rei publicae salus "The welfare of the state depends on the morals of its citizens," the university can trace its roots back to the establishing of the East Florida Seminary by Gilbert Kingsbury. 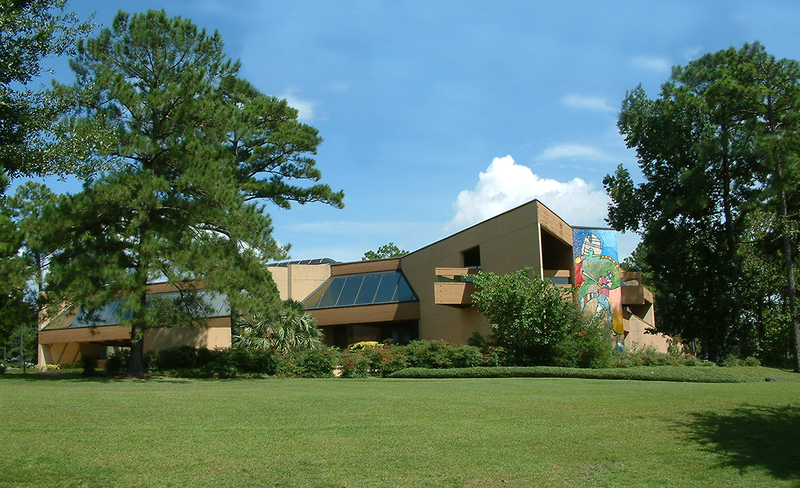 Thirty years later the focus of the school would shift as it was renamed the Florida Agricultural College. Among the school's accomplishments is 1985's invitation to join the prestigious Association of American Universities. Receiving its regional accreditation through the Southern Association of Colleges and Schools, Commission on Colleges, the university delivers degrees at the associate, undergraduate, graduate, and doctoral and levels to the student body of 52,367 currently enrolled. Home of the Gators and the mascots Albert and Alberta, the athletic department at Florida supports men's and women's varsity sports teams which compete at the NCAA Division I level as powerhouse members of the Southeastern Conference. The school's official colors are orange and blue. The Department of Exercise Science and Sport Studies at California University of Pennsylvania features a remarkable online Bachelor's of Science in Sport Management Studies degree. This nationally-recognized, top-three program offers students a high-quality curriculum delivered through the convenience of a distance degree. Photo creditOne of the nation's best online Bachelor's of Science in Sport Management Studies degree is delivered by the Department of Exercise Science and Sport Studies at California University of Pennsylvania. This 100% online program is classified as affordable with an estimated yearly tuition price between $8,000 and $12,999. The Department of Exercise Science and Sport Studies has recently been recognized by U.S. News & World report as offering the 77th best online undergraduate degree in the country. Students can expect to complete all requirements for this online degree in just three years. Cal U is one of the few excellent programs to be certified by the National Academy of Sports Medicine. Courses within this program include Human Anatomy and Physiology, Ethics in Sport Management, Sports Nutrition, Functional Kinesiology, Business Aspects of Fitness, Physiology of Exercise, Current Topics and Strategies for Youth Fitness, Legal Aspects of Sport, Psychology of Sport, and Fitness for Special Populations. California University of Pennsylvania was originally founded as a normal school in 1852 with the priority of training public school teachers. Over the years the school grew in its scope and influence to become a four-year university in 1983. Receiving its regional accreditation through the Middle States Commission on Higher Education, the university exists today as a four-year, public institution of higher learning with a main campus in California, Pennsylvania. Delivering degrees at the associate, undergraduate, graduate, and doctoral levels, Cal U oversees a student body of 7,553. Home of the Vulcans, the official school colors of the university are red and black. The athletic department at California University of Pennsylvania consists of men's and women's varsity sports teams which compete at the NCAA Division II level as members of the Pennsylvania State Athletic Conference. Davenport University's Donald W. Maine College of Business features an online Bachelor's of Business Administration degree in Sport Management. This quality program is one the discerning distance learner should take note of as it features a robust curriculum and is backed by the business school's stellar accreditation through the IACBE. Photo courtesy of Davenport UniversityThe Donald W. Maine College of Business at Davenport University features one of the country's best online Bachelor's of Business Administration in Sport Management degrees. This 120-credit program is classified as average in affordability with an estimated yearly tuition price between $13,000 and $22,999. The business school receives its excellent business accreditation through the International Assembly for Collegiate Business Education while the university is only one of two schools in the state to have earned the prestigious Commission on Sport Management Accreditation (COSMA) for its BBA in Sports Management. This program has been designed to train students to develop "strong skills in critical business areas of sports including accounting, marketing, economics, finance, IT and statistics. We expose you to the legal, regulatory, marketing and operational aspects of sport venue management. Your program also includes the critical areas of accounting, marketing, economics, finance, IT, business research and statistics in a learning environment that balances textbook theory with real-world sport business application. By building both theoretical knowledge and applied experience you are well-prepared for a career in the sports industry." Courses within this program include Social Media Strategies, Athletic Leadership and Coaching, Sport Operations and Facilities Management, Sport Analytics, Sport Governance and Regulation, Global Sport Industry, and Sport Communication and Promotion. U.S. News & World Report has recently recognized the business school as offering the 192nd best online undergraduate degree in the nation. Home of the Panthers who wear the school colors of red and black, the athletic department at Davenport University supports men's and women's varsity sports teams which compete at the NCAA Division II level as members of the Wolverine-Hoosier Athletic Conference. Davenport is a four-year, private not-for-profit institution of higher learning with a main campus located in Grand rapids, Michigan. The university delivers degrees at the associate, undergraduate, and graduate levels to the 7,733 students currently enrolled there. The university got its start in 1866 when Union Army Veteran Conrad Swensburg returned home to Michigan and established the Grand Rapids Business College. The school receives its regional accreditation through the Higher Learning Commission and features "Get where the world is going" as its official school motto. An exceptional online Bachelor's of Science in Sports Management is delivered by Toccoa Falls College's School of Professional Studies. This top-five program offers a high-quality 100% online curriculum that has been designed to equip future business leaders. Photo creditToccoa Falls College's School of Professional Studies features a high-quality online Bachelor's of Science in Sports Management. This 126-credit hour degree is classified as average in affordability with an estimated yearly tuition price between $13,000 and $22,999. Including prerequisites of Bible and Theology, Humanities, Social Science, and open electives, the Sport Management Core area of this degree includes such courses as Organization & Administration of Sport, Sport Law & Ethics, Sport Financial Management, Principles of Management, Event & Facility Management in Sport & Entertainment, Policies & Issues in Sport Management, and Sport Marketing. U.S. News & World Report has recently recognized the business school as offering the 179th best online undergraduate degree in the nation. The business school has designed this program to equip students "for a leadership role within the ever-growing world of sport. Taught from a biblical perspective (integrating faith and practice), our courses will equip you with knowledge of the best current practices in business and sport management. You will also learn the skills essential in the marketplace and develop biblical character to become Christian servant leaders with strong ethical and moral standards to manage and market sport organizations, media, events, and facilities." Online students are welcome to special events on campus and can even try out for the school's sports programs if living within 40 miles of the campus. Established in 1907 as the Golden Valley Institute, today's Toccoa Falls College is a four-year, private not-for profit institution of higher learning with a main campus located in Toccoa Falls, Georgia. Operating under the school motto of "Where Character is Developed with Intellect," the school is affiliated with the Christian Missionary Alliance and regionally accredited by the Southern Association of Colleges and Schools, Commission on Colleges. Toccoa Falls delivers degrees at the associate, undergraduate, graduate, and doctoral and levels to the student body of 1,252 currently enrolled there. Home of the Eagles, the athletic department at Toccoa Falls supports men's and women's varsity sports teams which compete at the NCCAA Division II level. The University of Minnesota Crookston delivers an excellent online Bachelor's of Science degree in Sport and Recreation Management at the Business Department. This highly-accredited undergraduate degree is a must for the business student seeking a nationally-ranked program. Photo courtesy of University of Minnesota CrookstonThe Business Department at the University of Minnesota Crookston delivers one of the nation's best online Bachelor's of Science in Sport and Recreation Management degrees. This 100% online program is classified as affordable with an estimated yearly tuition price between $8,000 and $12,999. This degree has been designed to give "students the opportunity to develop knowledge and expertise in sport and recreation with an orientation toward management. It is employment-oriented, designed around active learning and responsive teaching, and technology-driven, focused on communication and human relations. Program graduates will be able to manage, assist in the management of, or find employment in sport and recreation organizations." Program requirements for this degree include Liberal Education requirements, Technology requirements, and Prescribed electives, and open electives. Courses within this program include Personal Selling, Principles of Marketing, Foundations of Sport and Recreation Management, Sport Law and Governance, Sport Facility and Activities Management, Sport Marketing and Communication, Sport ethics and Leadership, and Sort Finance and Economics. U.S. News & World Report has recently recognized the business school as offering the 264th best online undergraduate degree in the nation. Home of the Golden Eagles who wear the school colors of maroon and gold, the athletic department at the University of Minnesota Crookston supports four men's and seven women's varsity sports teams which compete at the NCAA Division II level as members of the Northern Sun Intercollegiate Conference. UMC is a four-year, public institution of higher learning with a main campus located in Crookston, Minnesota. The university delivers exclusively undergraduate degrees to the 2,676 students currently enrolled there. The university was founded in 1966 as a two-year college awarding associates degrees. The school's initial enrollment was less than 190 students. The university has continued to expand its facilities and programs throughout the years. CBU receives its regional accreditation through the Higher Learning Commission and features "Small Campus. Big Degree" as a current marketing slogan. One of the country's best online B.S. in Recreation and Sports Management degrees is offered by the College of Arts, Sciences & Education at Florida International University. This very affordable degree shines with an excellent accreditation through the Association to Advance Collegiate Schools of Business. Photo creditFlorida International University offers a remarkable online Bachelor's of Science in Recreation and Sports Management degree at the College of Arts, Sciences & Education. This excellent distance program is classified as very affordable with an estimated yearly tuition price below $7,999. The College of Arts, Sciences & Education receives its exemplary business accreditation through the Association to Advance Collegiate Schools of Business. The AACSB is the gold standard for accrediting bodies in higher education. This degree has been designed to give students theoretical and practical knowledge in the areas of "recreational therapy, recreation therapy facilitation techniques, trends, issues, and managerial aspects of recreational therapy, and client assessment, documentation & evaluation in recreational therapy." With three start times each year, some of the benefits of this degree include the fact all courses are delivered 100% online with no campus visits required and every student is paired with a success coach to help ensure academic goals are achieved through the degree. Courses within this program include Inclusive Recreation Services, Introduction to Recreational Therapy, Leisure and Recreation in America, Principles of parks, Recreation Management & Sport Management, Exercise Physiology, Liability and Law, Medical Terminology, Program Planning in Recreational Therapy, and Fundamentals of Pathology. The College of Arts, Sciences & Education has recently been recognized by U.S. News & World Report as offering the 60th best online undergraduate degree in the nation. Established in 1965, Florida International University is a four-year, public institution of higher learning with a main campus located in Miami, Florida. Operating under the school motto of Spes Scientia Facultas (Hope, Knowledge, Opportunity), groundwork for the university began after a state bill for a university in Miami was introduced by Charles Perry. Receiving its regional accreditation through the Southern Association of Colleges and Schools, Commission on Colleges, the university delivers degrees at the associate, undergraduate, graduate, and doctoral levels to the student body of 55,003 currently enrolled there. The school currently consist of two campuses in Miami-Dade County with the primary campus being in University Park. The College of Liberal Arts & Sciences at the University of Iowa features one of nation's best online BS in Sport and Recreation Management degrees. This 100% online program offers an excellent curriculum at an affordable tuition rate. Photo courtesy of the University of IowaA high-quality online Bachelor's of Science in Sport and Recreation Management degree is delivered by the College of Liberal Arts & Sciences at the University of Iowa. This 100% online program is classified as affordable with an estimated yearly tuition price between $8,000 and $12,999. This program consists of a total of 120 semester hours and 48 semester hours of required coursework (27 Foundation, nine Field experience, and 12 Concentration). Courses within this program include Contemporary Issues in Sports, Sales in Sport, Communications and PR in Sport, Managerial Operations in Sport and Recreation, Lability in Sport and Recreation, Sport and Recreation Facility Management, Sport Business Practices, Sport and Recreation Promotion, and Finance in Sport & Recreation. Unique to this program is the Field Experience that is designed to give real-world application to some of the concepts introduced in the classroom. The Guided Field Experience courses are "faculty-led with all students having a common set of learning objectives. These courses have regular meetings in addition to work outside the classroom. This work ranges from operational to strategic and consultative. These courses incorporate an industry partner with an identified project need or outcome. Work is often problem-based and team-oriented." The University of Iowa was established in 1847 and today consists of 11 colleges delivering over 200 programs of study and seven professional degrees. Receiving its regional accreditation through the Higher Learning Commission, the university exists today as a four-year, public institution of higher learning with a main campus in Iowa City, Iowa. Delivering degrees at the undergraduate, graduate, and doctoral levels, Iowa oversees a student body of 32,011. Featuring black and gold as the school's official colors, UI is the state's flagship and space-grant university. Known for its successful sports programs, the school's athletic program supports both men's and women's varsity sports teams which compete at the NCAA Division I level as members of the Big 10 Conference. Webber International University's School of Business features a remarkable online BSBA degree with a Sport Business Management major. This undergraduate program is one the discerning distance learner will want to consider as it features a solid curriculum taught by a seasoned staff of educators. Photo creditThe School of Business at Webber International University offers an exceptional online Bachelor's of Science Business Administration degree with a Sport Business Management major. This incredible online program is classified as expensive in affordability with an estimated yearly tuition price over $23,000. Besides the common core requirements needed to graduate students within this program are required to take Intro to Sport Business Management, Careers in Sport Business Management, Ethics & Issues in Sport Business Management, Human Resource Management, Sport Promotion, Risk Management & Legal Aspects of Sports, Sport Information & Media Relations, and Sport Administration. Students interested in this program are encouraged to complete an online application and submit a $35 non-refundable fee. Candidate with previous coursework may be able to transfer up to 90 hours into this program. Home of the Warriors and featuring the school colors of green and gold, Webber International University is a four-year, private not-for-profit institution of higher learning with a main campus located in Babson Park, Florida. The university delivers degrees at the associate, undergraduate, and graduate levels to the 712 students currently enrolled there. The university was established by Roger Babson as Webber College in 1927. Webber was the first private institution of higher learning under the state of Florida's new charitable and educational laws voted on by state representatives. Receiving its regional accreditation through the Southern Association of Colleges and Schools, Commission on Colleges, Webber has recently been recognized by the Princeton Review as one of the Best Regional Colleges-Southeastern. An excellent online BS in Sport Management is delivered by Thomas College's School of Business. This top-10 program offers the distance earner a high-quality sports management education without sacrificing flexibility and convenience. Photo creditThomas College's School of Business features one of the nation's best online Bachelor's of Science in Sport Management degrees. This program receives an accreditation through the Commission on Sport Management Accreditation and is designed to equip students with the ability to "understand one or more sports in-depth, including the psychological principles of sports, teamwork, the industry, and how sport functions in contemporary society, analyze connections between the worlds of business and sport, identifying opportunities, communicate effectively with players, coaches, fans, financial stakeholders, and the media, and demonstrate understanding of the principles of sport management, including the areas of public relations, liability, facilities, financial management and budgeting, and the purchase, care and security of equipment." This program is classified as expensive in affordability with an estimated yearly tuition price over $23,000.Courses within this program include Intro to Sport Management, Principles of Marketing, Sport Information and Public Relations, Managerial Principles, Sport Facility Management, Sport Marketing Management, Athletic Administration, Leadership and Ethics in Sport Management, and Sport Finance. Established in 1894 as a nonsectarian, co-ed institution for career training known as Keist Business College, today's Thomas College is a four-year, private not-for-profit institution of higher learning with a main campus located in Waterville, Maine. Operating under the school motto of "Those we Serve are the Foundation of Our Future," the college's official colors are red and black. Receiving its regional accreditation through the New England Commission of Higher Education, the university delivers degrees at the associate, undergraduate, and graduate levels to the student body of 1,375 currently enrolled there. Home of the Terriers, the athletic department at Thomas supports men's and women's varsity sports teams which compete at the NCAA Division III level as members of the North Atlantic Conference. American Public University delivers an excellent online BS in Sports Management program through the School of Health Sciences. This very affordable program is a must for the business student seeking a high-quality distance education at a value. Photo courtesy of American Public University SystemThe School of Health Sciences at American Public University delivers one of America's best online Bachelor's of Science in Sports Management programs. This 120-credit hour program is classified as very affordable with an estimated yearly tuition price under $7,999. The School of Health Sciences has designed this program to be completed in a total of four years when taking courses full-time. Students with transferable credit can transfer up to 90 hours into this program. U.S. News & World Report has recently recognized the school as offering the 94th best online undergraduate degree in the nation. Core courses within this program include Advanced Topics in Finance, Human Behavior in Organizations, Strategic Marketing: Cases and Current Issues, Strategic Management, Advanced Topics in Accounting, Advanced Topics in Information Systems, Advanced Topics in International Business, and Advanced Topics in Operations Management. Program objectives for this degree include a graduate's being able to "describe the impact of legal principles and considerations in sport management on the decision-making process for sport managers, apply management principles, concepts, and practices associated with the operations and maintenance of sports and recreation facilities, and examine ethical practices, procedures, and decision-making models used in sports management professions. Home of the Volunteers who wear the school colors of blue and gray, American Public University is one half of t American Public University System which also includes American Military University. APU is a four-year, private for-profit institution of higher learning with a main campus located in Charles Town, Virginia. The university delivers degrees at the associate, undergraduate, graduate, and doctoral levels to the 48,623 students currently enrolled there. The university was started in 2002 in order to educate civilians interested in public service programs. American Public University receives its regional accreditation through the Higher Learning Commission. A highly-accredited online Bachelor's of Science in Sport Management degree is offered by the School of Business at Post University. This excellent program stands out from the pack with a business accreditation through the ACBSP and recognition from U.S. News & World Report as one of the best online bachelor's programs in the nation. Photo creditPost University offers one of the best online Bachelor's of Science in Sport Management degrees at the School of Business. Program outcomes for this degree include a graduate being able to "demonstrate the ability to adapt to the changing sport management environment via strategic planning, creativity, and innovation, develop an ability to integrate concepts from various business disciplines and apply those concepts in the formulation of solutions to complex sport management issues and problems, and develop a global perspective as it relates to the function of sport management in an increasingly multicultural and multinational world." This 120-credit hour program is classified as average in affordability with an estimated yearly tuition price between $13,000 and $22,999. U.S. News & World Report has recently recognized the business school as offering the 165th best online undergraduate degree in the nation. The School of Business receives its excellent business accreditation through the Accreditation Council for Business Schools and Programs. The ACBSP is one of the most prestigious accrediting bodies in higher education. Major Core courses within this program include Foundations in Sport Management, Sport in Society, Sport Marketing, Sport Law, Sport Economics, and Sport and Athletic Administration. Established in 1890, Post University is a four-year, private for-profit institution of higher learning with a main campus located in Waterbury, Connecticut. The school was originally called the Matoon Shorthand School and offered instruction in typing, business writing, bookkeeping, and other clerical duties. Receiving its regional accreditation through the New England Commission of Higher Education, the university delivers degrees at the associate, undergraduate, and graduate levels to the student body of 7,681 currently enrolled there. Home of the Eagles and the mascot, Swoop the Eagle, the athletic department at Post supports 20 men's and women's varsity sports teams which compete at the NCAA Division II level as members of the Central Atlantic Collegiate Conference. The school's official colors are purple and orange. The College of Health Sciences at Eastern Kentucky University features one of best online Sport Management Bachelor's degrees available. This nationally-recognized, high-quality, affordable program is delivered by a seasoned staff of educators. Photo creditOne of the nation's best online Sport Management Bachelor's degree programs is delivered by the College of Health Sciences at Eastern Kentucky University. This program has been designed to prepare "students for rewarding careers in the complex and challenging sports industry. The program provides students with the leadership and critical thinking skills needed to successfully combine a love of sports and business insight to propel the industry forward. Graduates are prepared to take on key positions with sports teams and associations or to pursue graduate studies. Delivered as a 100% online degree, this 120-credit hour program is classified as affordable with an estimated yearly tuition price between $8,000 and $12,999. With six start times each year, students can transfer up to 90 hours into this program and enjoy an accelerated pace which includes eight-week long terms. Core courses within this program include Foundations of Sports Science, Legal Issues in Sports, Policy and Governance in Sport, Sport in American Society, Sport Finance, Management of Sport Organizations, and Psychology of Coaching. The College of Health Sciences has recently been recognized by U.S. News & World Report as offering the 115th best online undergraduate degree in the nation. Originally founded as the Eastern Kentucky State Normal School No. 1 in 1906 with the express intent of training public school teachers in the region, today's Eastern Kentucky University operates under the school motto of "Where Students and Learning Come First." Receiving its regional accreditation through the Southern Association of Colleges and Schools, Commission on Colleges, the university exists today as a four-year, public institution of higher learning with a main campus in Richmond, Kentucky. Delivering degrees at the associate, undergraduate, graduate, and doctoral levels, EKU oversees a student body of 16,881. Home of the Colonels, the official school colors are maroon and white. The school also maintains campuses in Corbin, Manchester, Hazard, Somerset, Lancaster, and Danville. Bellevue University's College of Business features both an online BA in Sport Management and an online BS in Sport Management. These high-quality undergraduate programs are two the discerning distance learner should take note of as they both feature a solid curriculum and a national ranking through U.S. News & World Report. Photo creditThe College of Business at Bellevue University delivers both an online Bachelor's of Art in Sport Management and an online Bachelor's of Science in Sport Management. Program outcomes associated with these degrees include a student's ability to "integrate sport management theory and practice into the sport industry, evaluate sport organizations from a legal and risk management perspective, apply business and financial accounting methods to sport contexts, and apply communication skills relevant to a variety of contexts such as marketing, public relations, and business management." The 127-credit hour programs are classified as very affordable with an estimated yearly tuition price below $7,999. U.S. News & World Report has recently recognized the business school as offering the 153rd best online undergraduate degrees in the nation. Divided between 36 General Ed. Credits, 55 Elective credits, and 36 Major credits, the degrees include such interesting courses as Introduction to Sport Management, Sport Public Relations and Communication, Sport Ethics, Contemporary Issues in Sport, Sport Facility and Event Management, Legal Aspects of Sport and Physical Activity, Sport Management, and Sport Finance. The difference between these two program is that the B.S. features the addition of MA 215 Applied Statistics. Bellevue University is a four-year, private not-for-profit institution of higher learning with a main campus located in Bellevue, Nebraska. The university delivers degrees at the undergraduate, graduate, and doctoral levels to the 8,896 students currently enrolled there. Bellevue was originally established in 1966 as Bellevue College with the express intent of educating working adults in the region. The school's name was changed in 1994 after achieving its university status. Home of the Bruins, the school's official colors are purple and gold while the motto is "Real Learning for Real Life." Bellevue University receives its regional accreditation through the Higher Learning Commission. An excellent online Bachelor's of Sports Science Degree in Sports Management is offered at the United States Sports Academy. This high-quality undergraduate program has been designed to equip tomorrow's effective business leaders. Photo creditThe United States Sports Academy features one of the nation's best online Bachelor's of Sports Science Degree in Sports Management programs. U.S. News & World Report has recently recognized the school as offering the 107th best online undergraduate degree in the nation. This high-quality degree is classified as average in affordability with an estimated yearly tuition price between $13,000 and $22,999. This degree "is specifically designed to meet the needs of up and coming sports professionals in one of the quickest growing industries in the world. All courses are available online for degree-seeking and non-degree-seeking students, so students can complete their studies at any time and any place. Our students are part of a global sports community with members in all 50 U.S states and 14 other countries." Courses within this program include Sport Art: The Artist and the Athlete, Anatomy & Physiology, Trends in Computer Applications, Statistical Measurements in Sports, Philosophy of Shaolin Kung-Fu, Sports Officiating, Technology of Sports, Sociology of Sports, Ethics in Sports, Contemporary Issues in Sports, and Sports Coaching Methodology. Established in 1972, the United States Sports Academy is a four-year, private, not-for-profit institution of higher learning with a main campus located in Daphne, Alabama. Academy was founded by Dr. Thomas Rosandich after a subpar performance by the US Olympic team at the 1972 Munich Games. Receiving its regional accreditation through the Southern Association of Colleges and Schools, Commission on Colleges, the US Sports Academy delivers degrees at the undergraduate, graduate, and doctoral and levels to the smaller student body of 210 currently enrolled there. Home of the mascot, Sammy the Eagle, notable alumni of the academy include coaches Stephen Hawkins, Tony Hobson, Mike Leach, and Greg McDermott. McKendree University delivers one of the country's best online BBA programs with a major in Sport Management through their School of Business. This incredible undergraduate program is a must for the business student seeking a high-quality distance education. Photo creditThe School of Business at McKendree University delivers an exceptional online Bachelor's of Business Administration with a major in Sport Management. This excellent online degree is "designed to provide students with additional education and training in key areas important for sport management. These include the basic economic and social environment of sport business, the financing and operations of facilities, the marketing and managing of events, and an internship to apply the Sport Management courses to the solution of management problems in sport." This program is classified as expensive in affordability with an estimated yearly tuition price over $23,000. The School of Business receives its high-quality business accreditation through the International Assembly for Collegiate Business Education. Consisting of 120 credit hours, students must complete 40 hours of 300 or 400 level courses, 30 of which from McKendree. Courses within this program include Budget & Financing of Sport, Sport Marketing, Sport Facilities & Event Management, Sport & Health Psychology, and Legal Aspects of Sport Management. Home of the Bearkats, the athletic department at McKendree University supports men's and women's varsity sports teams which compete at the NCAA Division II level as members of the Great Lakes Valley Conference. The school's official colors are McK purple and white. Established in 1828 as Lebanon Seminary, today's McKendree University is a four-year, private not-for-profit institution of higher learning with a main campus located in Lebanon, Illinois. Operating under the school motto of Artium Morum et Religionis Disciplinae "The Disciplines of the Arts, of Morals and of Religion," the university stands as the oldest university in the state of Illinois. With an official affiliation with the United Methodist Church, McK has developed in many ways since its humble beginnings of offering courses in two rented sheds for less than 75 students. Receiving its regional accreditation through the Higher Learning Commission, the university delivers degrees at the associate, undergraduate, graduate, and doctoral and levels to the student body of 2,902 currently enrolled there. An excellent online BS in Sports, Entertainment, and Event Management is offered by the College of Online Education at Johnson & Wales University. This high-quality degree stands out with an excellent curriculum delivered through a flexible format. Photo creditJohnson & Wales University offers an exceptional online Bachelor's of Science in Sports, Entertainment, and Event Management at the College of Online Education. This 120-credit hour program is classified as average in affordability with an estimated yearly tuition price between $13,000 and $22,999 and features 11-week long courses. U.S. News & World Report has recently recognized the College of Online Education as offering the 143rd best online undergraduate degree in the nation. In this program undergraduate students will learn how to "apply the major concepts, skills and values of the sports, entertainment and event management industry by integrating the concepts of marketing, finance, operations, and ancillary services in the management of a range of events, communicate effectively to diverse audiences, purposes and situations in a variety of contexts within the sports, entertainment and event management industry, and use decision-support tools to solve problems and facilitate organizational processes by applying critical thinking and ethical problem solving to management decisions within the sports, entertainment and event management industry." Major Courses within this program include Introduction to the Sports, Entertainment and Event Management Industry, The Business of Sports, Ancillary Services and Revenue Management in the Sports, Entertainment, and Event Industry, Fundamentals of Fundraising and Philanthropy, Sponsorship, Sales and Relationship Management, Negotiations and Agreements in Hospitality, Sports, Entertainment and Event Management. Established in 1914, Johnson & Wales University is a four-year, private not-for-profit institution of higher learning with a main campus located in Providence, Rhode Island. The university was originally founded as Johnson & Wales Business School by Gertrude I. Johnson and Mary Wales who were classmates at Pennsylvania State Normal School. From its humble beginnings with one student (and one typewriter), JWU grew over the years and today receives its regional accreditation through the New England Commission of Higher Education. The university delivers degrees at the associate, undergraduate, graduate, and doctoral levels to the student body of 9,324 currently enrolled. JWU currently maintains four campuses and has a widely renowned school of culinary arts. The Division of Online and Professional Studies at California Baptist University features a solid online Bachelor's of Arts in Sport, Recreation and Fitness Management degree. This nationally-recognized, high quality program balances excellent sport-business theory with a relevant application model. Photo creditOne of the nation's best online Bachelor's of Arts in Sport, Recreation and Fitness Management degrees is delivered by the Division of Online and Professional Studies at California Baptist University. This undergraduate program is classified as expensive with an estimated yearly tuition price over $23,000. This program "is designed to enhance preparation for discipline-related careers through comprehensive study and practical experiences. This interdisciplinary degree provides a philosophical and theoretical background in relevant management principles. The online Bachelor's of Arts in Sport, Recreation and Fitness Management degree program will cultivate innovative, effective leaders, who affect positive change in the field." Divided between prerequisites, lower division requirements, upper division requirements, and additional program courses, the upper division courses within this program include Organizational Communication, Public Health Nutrition and Physical Activity, Care and Prevention of Athletic Injuries, Behavioral Aspects of Sport, Principles of Marketing, Legal Aspects of Sport, Recreation and Fitness, and Special Populations in Sport, Recreation and Fitness. Students are expected to maintain a GPA of at least 2.0 throughout this program and admission requirement include 24 transferrable units or high school diploma or equivalent. U.S. News & World Report has recently recognized the Division of Online and Professional Studies as offering the 23rd best online undergraduate degree in the nation. California Baptist University was established in 1950 and originally named California Baptist College. While the first year's enrollment was only 120 students, the school has grown steadily over the years and continues to be affiliated with the California Southern Baptist Convention. First planted in El Monte, the campus moved to Riverside, California in 1955 where it remains to this day. Receiving its regional accreditation through the Western Association of Schools and Colleges, Senior College and University Commission, the university exists today as a four-year, private not-for-profit institution of higher learning with a main campus in Riverside, California. Delivering degrees at the associate, undergraduate, graduate, and doctoral and levels, CBU oversees a student body of 9,157. Featuring "Live Your Purpose" as the school's motto, the school's official colors are blue and gold. Concordia University-St. Paul's College of Health and Science features one of the nation's best online Bachelor's of Arts in Sport Management programs. This undergraduate degree is one the discerning distance learner will want to consider as it features a solid curriculum delivered by a distinguished staff of educators. Photo creditThe College of Health and Science at Concordia University-St. Paul delivers a high-quality online Bachelor's of Arts in Sport Management program. The business school was recently recognized by U.S. News & World Report as offering the 131st best online undergraduate degree in the nation. This stellar program is classified as average in affordability with an estimated yearly tuition price between $13,000 and $22,999. This degree "involves the study of how to use legal and business principles to run athletic programs, sports teams, fitness facilities, and health clubs. In this program, students learn business and sport theory and have numerous opportunities to bridge theory into practical applications. Students will gain knowledge and skills that are important for any career in sport management as they take 45 credit hours towards a Bachelor's of Arts degree." Structured to be completed in 24 months or less, students can take advantage of the program's 100% online format. The sport management courses within this program include Law & Sport, Planning and Managing Sport Facilities, Sports Business, Exercise Physiology, and Marketing and Fundraising in Sports. Home of the Golden Bears, the athletic department at Concordia University-St. Paul supports six men's and ten women's varsity sports teams which compete at the NCAA Division II level as members of the Northern Sun Intercollegiate Conference. NDNU is a four-year, private not-for-profit institution of higher learning with a main campus located in Saint Paul, Minnesota. The university delivers degrees at the associate, undergraduate, graduate, and doctoral levels to the 4,582 students currently enrolled there. Concordia University was established in 1893 and currently exists as one of ten within the Concordia University System, maintained by the Lutheran Church-Missouri Synod. The university receives its regional accreditation through the Higher Learning Commission. A top-notch online BSBA in Sport Management can be found at Mercy College's School of Business. This attractive undergraduate program offers the distance learner a high-quality education in business without sacrificing flexibility and convenience. Photo creditMercy College features an excellent online Bachelor's of Science Business Administration in Sport Management at its School of Business. This 120-credit hour degree is classified as average in affordability with an estimated yearly tuition price between $13,000 and $22,999. Students looking for practical application will enjoy the program's internship opportunity. "The goal of the Mercy College Sport Management Specialization is to use the vast and popular business of sport as a tool to inspire academic excellence and career development. The required internship (and optional second internship) will offer field experience in addition to employment opportunities." This 100% online degree offers an excellent convenience and flexibility for the undergraduate. Divided between 27 credits of Business Administration Core, 18 credits of Specialization, and 15 credits of Open Electives, the Specialization courses included in this degree are Foundations Sport Management, Sport Marketing, Sport Law, Sport Facility & Event Management, Sport Finance & Administration, Sport & Society, App Res Analysis Sport Management, and Strategic Management. The School of Business was recently recognized by U.S. News & World Report as offering the 249th best online undergraduate degree in the nation. Established in 1950, Mercy College is a four-year, private not-for-profit institution of higher learning with a main campus located in Dobbs Ferry, New York. Operating under the school motto of Inserviendo consumere "To be consumed in service," the college was established by the Sisters of Mercy. Receiving its regional accreditation through the Middle States Commission on Higher Education, the university delivers degrees at the associate, undergraduate, graduate, and doctoral levels to the student body of 10,099 currently enrolled there. Featuring 10 varsity men's and women's sports teams, the athletic department at Mercy competes at the NCAA Division II level as members of the East Coast Conference. The school's official colors are blue and white. Wilmington University delivers a flexible online Bachelor's of Science in Sports Management at the College of Business. This undergraduate program is a must for the business student seeking a high-quality distance education. Photo creditThe College of Business at Wilmington University features a high-quality online Bachelor's of Science in Sports Management. The business school offers this degree as an in-class experience or 100% online as a distance degree. This excellent program is classified as affordable with an estimated yearly tuition price between 8,000 and $12,999. The business school has designed this program to equip students with the ability to "demonstrate effective information literacy and communication skill with valid and reliable research, apply ethical standards as required by sports management professionals, evaluate differences between sports management, sports marketing, and sports finance within the firm, and demonstrate an understanding of the use of strategic planning, marketing, facilities management, and sports analytics in college, professional, and recreational sports." This program is divided between general education requirements, sports management core courses, and sports management electives. Courses within this program include Legal and Ethical Issues in Sports, Sociology of Sport, Sports Management I and II, Sport Media Relations, Sport Facilities Management and Planning, Sports Marketing and Promotions, and Financing Sport Operations. The College of Business, which was recently recognized by U.S. News & World Report as offering the 264th best online undergraduate degree in the nation, receives its excellent business accreditation through the International Assembly for Collegiate Business Education. Wilmington University is a four-year, private not-for-profit institution of higher learning with a main campus located in New Castle, Delaware. The university delivers degrees at the associate, undergraduate, graduate, and doctoral levels to the 15,316 students currently enrolled there. The university was founded in 1968 as Wilmington College by Dr. Donald Ross. Upon achieving its university status in 2007, the name was changed. Wilmington receives its regional accreditation through the Middle States Commission on Higher Education. Home of the Wildcats, the school's official colors are green and white. One of the best online Bachelor's of Science in Sport Management programs is offered by the Department of Kinesiology at Colorado Mesa University. This affordable degree shines with an excellent curriculum and national recognition as one of the best undergraduate degrees in the nation. Photo creditColorado Mesa University offers one of the nation's best online Bachelor's of Science in Sport Management programs at the Department of Kinesiology. This 120-credit hour program is classified as affordable with an estimated yearly tuition price between $8,000 and $22,999. This program "serves students in their chosen profession, so they will be better prepared to enter the world of sport business or pursue a graduate degree. Opportunities for college graduates with sport management education and experience are very diverse and challenging." This program is divided between Essential Learning Requirements, a Wellness Requirement, Essential Learning Capstone, and Sport Management Major Requirements including Sport in Society, Sport Operations, Leadership and Ethics in Sport, Sport Law and Risk Management, Survey of Economics and Finance in Sport, and Governance and Communication in Sport. U.S. News & World Report has recently recognized the business school as offering the 264th best online undergraduate degree in the nation. Established in 1925, Colorado Mesa University is a four-year, public institution of higher learning with a main campus located in Grand Junction, Colorado. Originally founded as Mesa State College, the school changed its name in 2011 when it achieved its university status. Receiving its regional accreditation through the Higher Learning Commission, the university delivers degrees at the associate, undergraduate, graduate, and doctoral levels to the student body of 9,735 currently enrolled. Home of the Mavericks, the athletic department at Colorado Mesa supports 27 men's and women's varsity sports teams which compete at the NCAA Division II level as members of the Rocky Mountain Conference. While the school's official colors are maroon, white, and gold, this urban university features a campus on over 85 acres in Grand Junction. The Forbes School of Business & Technology at Ashford University features one of the country's best online Bachelor's of Arts in Sports and Recreation Management. This nationally-recognized, high-quality program is backed by the business school's excellent business accreditation through the IACBE. Photo creditAn exceptional online Bachelor's of Arts in Sports and Recreation Management is offered at Ashford University's Forbes School of Business & Technology. This program consists of five-week long courses and allows incoming students the opportunity to transfer up to 90 hours of credits. The degree is classified as affordable with an estimated yearly tuition price between $8,000 and $12,999. The Forbes School of Business & Technology receives its excellent business accreditation through the International Assembly for Collegiate Business Education. This degree "prepares you for managerial positions in the sports and recreation industry, including: professional sports, fitness clubs, athletics equipment merchandising, recreation programs, and intramural and recreational sports. You will complete coursework in accounting, business, economics, information systems, physical education, and psychology. The curriculum consists of the learning experiences essential for business management positions in the sports and recreation professions." Courses within this program include Human Resource management, Visual Literacy in Business, Principles of Macroeconomics, Sport Law, Organization and Administration of Sports & Recreation Management, Case Research in Sports & Recreation Management, Sport Finance, and Contemporary Issues in Sports Marketing & Management. Ashford University is accredited by WASC Senior College and University Commission (WSCUC), 985 Atlantic Avenue, Suite 100, Alameda, CA 94501, 510.748.9001, www.wscuc.org. The school delivers degrees at the associate, undergraduate, and graduate levels to the student body of 41,361 currently enrolled. Certain degree programs may not be available in all states. Established in 1918, Ashford is a four-year, private for-profit institution of higher learning with a main campus located in San Diego, California. The university was originally founded as a liberal arts college known as Mount St. Claire College. The school achieved four-year status in 1979 and was purchased by Bridgepoint Education in 2005 and renamed Ashford University. Previously maintaining a campus in Clinton, Iowa, the school closed that campus in 2016 and now exclusively offers distance degrees. Salem International University's School of Business features a high-quality online BSBA in Sports & Recreation Management. This noteworthy program is one the discerning distance learner should take note of as it features a solid curriculum and the backing of the business school's accreditation through the ACBSP. Photo creditThe School of Business at Salem International University delivers an exceptional online Bachelor's of Science Business Administration in Sports & Recreation Management. This online program is classified as average in affordability with an estimated yearly tuition price between $13,000 and $22,999. The School of Business receives its stellar business accreditation through the Accreditation Council for Business Schools and Programs. Qualified students with the proper academic background can complete all requirements for this degree in less than 24 months. The curriculum for this degree is structured in eight-week terms and applicants may transfer up to two courses into the program. This degree includes five upper level courses which provide students with training in the "structure of professional and amateur sports teams and governing bodies, current legal and regulatory issues in sports, and budgeting, marketing, and operations management for sporting events, facilities, and teams." Courses within this program include Organization and Admin. Of Phys. Ed. And Sports, Principles of Sports Management, Governance and ethics in Sports, Facilities and Event Management, and Legal Aspects of Sports. Salem International University is a four-year, private for-profit institution of higher learning with a main campus located in Salem, West Virginia. The university delivers degrees at the associate, undergraduate, and graduate levels to the 848 students currently enrolled there. The university was established in 1888 as Salem College by the Seventh Day Baptist Church. The school shifted its focus to the education of international students in 1989 after forming an alliance with Teikyo University in Tokyo, Japan. Salem receives its regional accreditation through the Higher Learning Commission. Home of the Tigers, the school's athletic department supports sports teams which compete at the NCAA Division II level as members of the Eastern College Athletic Conference. An online BBA in Sport Management is delivered at Shorter University's Robert H. Ledbetter College of Business. This high-quality, undergraduate business program offers the distance learner an exceptional education without sacrificing flexibility and convenience. Photo creditShorter University's Robert H. Ledbetter College of Business features one of the country's best online Bachelor's of Business Administration in Sport Management. This high-quality degree is classified as average in affordability with an estimated yearly tuition price between $13,000 and $22,999. This degree has been designed with flexibility and convenience in mind offering courses online and includes "appropriate coursework and field experience, assisting students in receiving a high level of competence in the Sport Management field. Professional preparation develops capable sport management specialists able to apply creative communication, leadership, and managerial skills in an array of positions in the sport industry. These positions include sales, marketing, public relations, operations, facilities, and event management." Sport Management courses within this program include Intro to Sport management, Legal Aspects of Sport, Leadership in Sport, Ethics in Sport, Event and Facility Management, Contemporary Issues in Sport, Olympic Games, Sport Psychology, Sport Coaching, and Special Topics. U.S. News & World Report has recently recognized the business school as offering the 264th best online undergraduate degree in the nation. Established in 1873 as the Cherokee Baptist Female College by Pastor Luther Rice Gwaltney, today's Shorter University is a four-year, private not-for-profit institution of higher learning with a main campus located in Rome, Georgia. For over 100 years, the school remained an all-women's college until the 1950's when the first male students were admitted. This time period was also when the school initiated an intercollegiate sports program and began competing within the NAIA. Receiving its regional accreditation through the Southern Association of Colleges and Schools, Commission on Colleges, the university delivers degrees at the associate, undergraduate, and graduate levels to the student body of 1,507 currently enrolled there. Home of the Hawks and team mascot Harold the Hawk, the athletic department at Shorter supports men's and women's varsity sports teams which compete at the NCAA Division III level as members of the Gulf South Conference. Grand Canyon University delivers one of the best online Bachelor's of Science in Sports Management programs in the nation at its Colangelo College of Business. This undergraduate degree is a great choice for business students seeking a high-quality distance education. Photo creditThe Colangelo College of Business at Grand Canyon University delivers one of the top online Bachelor's of Science in Sports Management programs in the nation. This 120-credit hour program features seven-week long courses and is classified as average in affordability with an estimated yearly tuition price between $13,000 and $22,999. The business school receives its high-quality business accreditation through the Accreditation Council for Business Schools and Programs. This degree "delivers an in-depth exploration of business in the sports industry across a variety of topic areas. Coursework in this sports management program examines key business skills with specific application to the sports industry's current issues and trends. Gain an introduction to event planning for athletic, recreational, entertainment and special events with an emphasis on budgeting, site selection, sponsorship and facility management." Divided between 34-40 general education requirements, 56 major course-credits, and 24-30 open elective credits, the program core courses within this degree include Principles of Marketing, Introduction to Economics, Financial Accounting, Managerial Accounting, Ethical and Legal Issues in Business, Organizational Behavior and Management, Fundamentals of Business Finance, Production/Operations Management, Sports Marketing, Sports Law, and Sports Event Planning. Home of the Antelopes who wear the school colors of purple, black, and white, the athletic department at Grand Canyon University supports men's and women's varsity sports teams which compete at the NCAA Division I level as members of the Western Athletic Conference. GCU is the only for-profit institution to be competing at the NCAA D I level. Grand Canyon is a four-year, private for-profit institution of higher learning with a main campus located in Phoenix, Arizona. The university delivers degrees at the undergraduate, graduate, and doctoral levels to the large student body of 75,834 currently enrolled there. The school was founded in 1949 as Grand Canyon College by the Arizona Southern Baptists. GCU receives its regional accreditation through the Higher Learning Commission and features "Find Your Purpose" as its official school motto. An online Bachelor's of Science in Sports Management program is delivered by the School of Health Sciences at American Military University. This very affordable degree shines with an impressive curriculum and the option for incoming students to transfer up to 90 hours of credits. Photo courtesy of American Public University SystemAmerican Military University offers one of the nation's best online Bachelor's of Science in Sports Management programs at its School of Health Sciences. This excellent distance program is classified as very affordable with an estimated yearly tuition price under $7,999. This degree has been designed to help students "who are interested in sports management, coaching, and administration in collegiate, community, or high school sports. This online bachelor's degree arms you with an improved understanding of sports administration, coaching theory and strategy, and business skills such as marketing, promotion, public relations, finance, and sports law." Admission requirements for this program include a high school diploma or equivalent and the submission of all required documents as outlined in the school's undergraduate admissions requirements. This online degree consists of 120-credit hours. Incoming students have the option of transferring up to 90-credit hours into the program. While the program length is four years as a full-time degree, there are monthly course starts. Established in 1991, American Military University is a four-year, private for-profit institution of higher learning with a main campus located in Charles Town, West Virginia. The university was originally founded by retired United States Marine Corps. Major James Etter. Classes began two years later with an enrollment of less than 20 graduate students. Receiving its regional accreditation through the Higher Learning Commission, the university delivers degrees at the associate, undergraduate, graduate, and doctoral levels to the student body of 48,623 currently enrolled. The university expanded in 2002 to become American Public University System with the addition of American Public University. APU was established to educate civilians interested in public service programs. The Division of Business, Education and Law at Culver-Stockton College features one of the best online Bachelor's of Science in Sport Management programs in the nation. This nationally-recognized, high quality program balances solid business theory with a relevant application model. Photo creditOne of the best online Bachelor's of Science in Sport Management programs in the nation is delivered by the Division of Business, Education and Law at Culver-Stockton College. This high-quality program is classified as expensive in affordability with an estimated yearly tuition price over $23,000. This program has been designed to help students build on the passion for sports by preparing them for a successful career in the sports industry. It includes opportunities to "get out of the classroom and into the real world to experience what goes on behind the scenes of this fast paced and unique industry. Students get the opportunity to travel all over the United States and internationally visiting some of the biggest stages the sports industry has to offer." Besides the excellent curriculum, this degree utilizes and offers opportunities for students to experience student-run clubs, travel study opportunities, a travel-abroad program, and professional and on-campus opportunities. Specializations within this major include, Accounting and Finance, Business, Communications, Human Performance, and Marketing. The Division of Business, Education and Law receives its business accreditation through the International Assembly for Collegiate Business Education. Culver-Stockton College was established in 1853 and originally known as Christian University. Founded by D. Pat Henderson and leaders of the Christian Church (Disciples of Christ), Christian University became the first co-educational institution of higher learning west of the Mississippi River. The school was renamed in 1917 to honor the generosity of donors Mary Culver and Robert Stockton. Stockton and Culver's donations to the school provided for much needed development and construction of buildings including a new gymnasium, residence halls, and funding for staff salaries. Receiving its regional accreditation through the Higher Learning Commission, the university exists today as a four-year, private for-profit institution of higher learning with a main campus in Canton, Missouri. Delivering degrees at the undergraduate and graduate and levels, Culver-Stockton College oversees a student body of 1,095. The school is home to the Wildcats. The University of Northwestern Ohio's College of Occupational Professions features a remarkable online Bachelor's in Sport Marketing and Management. This 100% online program is one the discerning distance learner will want to consider as it features a solid curriculum and emphasizes business, management, and leadership skills. Photo creditThe College of Occupational Professions at the University of Northwestern Ohio delivers one of the nation's best online Bachelor's in Sport Marketing and Management. This program "emphasizes the management, business, and leadership skills necessary to launch or enhance the sports business career. Reflected in the curriculum are the present issues in today's global sports industry and how integrating what is learned in the classroom can be immediately applicable to the workplace." This degree is classified as affordable with an estimated yearly tuition price between $8,000 and $12,999. This 180-credit hour program is divided between 93-credit hours of technical and basic requirements, 69-credit hours of general education requirements, and nine credit-hours of general education electives, and nine-credit hours of specialized electives. Some of the technical and basic requirement courses within this program include Legal Issues in Consumer Sales Transactions, Principles of Sport Management, Sport in Society, Managing Fitness Concepts, Sport Marketing, Facility and Event Management, History of Sport in the United States, Sport Law, Sport Promotion, Sport Communication, Sport and Public Policy, and Special Topics in Sport. Home of the Racers who wear the school colors of burgundy and gray, the athletic department at the University of Northwestern Ohio supports men's and women's varsity sports teams which compete within the National Association of Intercollegiate Athletics as members of the Wolverine-Hoosier Athletic Conference. UNOH is a four-year, primarily associate's not-for-profit institution of higher learning with a main campus located in Lima, Ohio. The university delivers degrees at the associate, undergraduate, and graduate levels to the 3,812 students currently enrolled there. The University of Northwestern Ohio was established in 1920 as Northwestern School of Commerce. The school went through several name changes over the years as it grew in size and influence receiving its university status in 2000. Northwestern Ohio receives its regional accreditation through the Higher Learning Commission. One of the nation's best online Bachelor's of Science in Business Studies in Sport Management is delivered by Southern New Hampshire University's School of Business. This attractive program offers the distance learner a high-quality degree in sports management without sacrificing flexibility and convenience. Photo creditSouthern New Hampshire University's School of Business features a high-quality online Bachelor's of Science in Business Studies in Sport Management. This excellent online degree is classified as expensive with an estimated yearly tuition price over $23,000. Program outcomes for this program include a student's ability to "recognize management and leadership theory in an applied environment, demonstrate problem solving in an applied environment, formulate connections between classroom learning and practical experience, demonstrate the ability to communicate, and display a professional personal image." The School of Business receives its excellent business accreditation through the Accreditation Council for Business Schools and Programs. Core courses within this program include Business Communications, Problem Solving & Decision Making, Teamwork/Collaboration, Global Orientation, Social & Corporate Responsibility, and Innovative & Entrepreneurial Thinking. Candidates interested in this program are encouraged to contact the business school's admissions office for information on how to get the application process started. Of the 120 credits included in this degree, 27 are free electives. Established in 1932 by husband and wife Harry and Gertrude Shapiro, Southern New Hampshire University is a four-year, private not-for-profit institution of higher learning with a main campus located in Manchester, New Hampshire. Operating under the school motto of Summa Optimaque "The Greatest and the Best," the university was originally founded as the New Hampshire School of Accounting and Secretarial Science. The school would go through several name changes over the years as it grew in scope and influence until achieving its university status in 2001. Receiving its regional accreditation through the New England Commission of Higher Education, the university delivers degrees at the associate, undergraduate, graduate, and doctoral levels to the large student body of 73,177 currently enrolled there. For more information on sports management, check out our Sports Management Resource Guide and our Online Master's in Sports Management Ranking. Should I have an internship while pursuing a Sports Management Degree? What can I do with an Online Master's in Sports Management? This ranking is designed to find the best online Bachelor's in Sports Management degrees available. A list of 85 schools was obtained and evaluated first on a sports management focus and distance format, and then evaluated by the following factors: Accreditations, Affordability, and Prestige. Accreditation (20%): Institutional and business accreditations attest to each program's value, as well as affect its brand recognition. Each bachelor's program in this list is accredited by one of the six regional accrediting organizations recognized by the US Department of Education. Additionally, each program was evaluated by whether it holds a business accreditation from one of the top business school accrediting institutions: IACBE, ACBSP, and AACSB. These accreditations ensures that the top business and management curriculum standards are upheld. AACSB is regarded across the world as the most prestigious business accreditation, thus the schools that hold this accreditation are given the highest scores. Sports Management Accreditation (20%): In addition to regional and business accreditation, each program is evaluated on whether they hold an accreditation from COSMA, the Commission on Sport Management Accreditation. COSMA is a "specialized accrediting body whose purpose is to promote and recognize excellence in sport management education worldwide in colleges and universities at the baccalaureate and bachelor's levels through specialized accreditation." This accreditation evaluates the advanced academic quality of a program as well as educational outcomes to ensure excellence in sports management education. Regional College Prestige (20%): This data was collected from one of the most prestigious sources in educational rankings, the Princeton Review. Each program was ranked on if their school was included in one of the Princeton Review's 2018 Best Regional Colleges Rankings. Online Business Prestige (20%): This criterion was collected from one of the most prestigious sources in educational rankings, US News and World Report. Each program was ranked based on their score within the US News and World Report's Best Online Bachelor's Program Ranking. All of the data for these factors was collected, weighted equally, averaged, and then calculated on a 100-point scale. This score is the TMD Ranking Score, which provides the ranking order for this list. By evaluating the accreditations, affordability, and prestige, this ranking helps prospective students find the highest quality Online Bachelor's in Sports Management Programs.